These four days were devoted to our internationally recognized Four Day Appreciative Inquiry Facilitator Training©, an introduction to the Power of Appreciative Inquiry (AI) and specifically to the Power of the Principles of AI — learning about the benefits of Positive focus and Positive language. 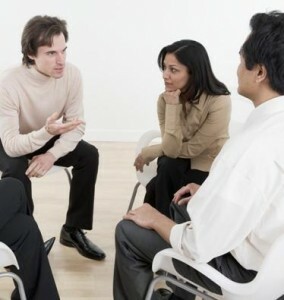 These are not trainings focused on politics; rather trainings for leaders and others who are seeking methods and models for organizational change and positive dialogue. Change that engages, seeks out the best in people and organizations, is collaborative in nature and focuses on the good in all of us. The people who attend this training want to feel good about their work; to work in organizations that they share values with; and to be in an organization that strives to do good for the world community. This request for us to become leaders in the national dialogue is not new to this training. We are a small group of committed people seeking change and if we look to the words of Margaret Mead, we know that this is where change begins. We are reaching out to our community now as we see the political rhetoric reach new levels of negativity. Please write to the White House, President Obama, Governor Romney and any and all of your legislative leaders – in Washington D.C. or at the State Level. Encourage them to change the tone. Encourage our leaders to adopt a tone of hope, possibility, and encouragement. Encourage them to share with us their vision for our country, for our future. We need no less from our current and our future leaders. For wisdom, insight and guidance, search out the words of past leaders who have inspired our nation in times of challenge and opportunity. There is sufficient data and research supporting the benefits of positive conversation. As people we thrive when our positive to negative words are at a 3:1 ratio (Positivity Ratio). We each want to thrive and we want our country to thrive. We need leaders who can lift the conversation, take decisive action toward a future that we can visualize and live into. We recommend a book for each of us: We Can All Do Better, by Bill Bradley. It is well written, honest and understandable. Bradley sets the stage that “We The People” must engage in dialogue that is for the best for the Country. To set the tone. “People see Washington irrevocably divided into two warring camps that care more about political advantage than about the Country” (Bradley 18). The need for positive dialogue has reached a crucial level; we cannot make the substantive changes necessary unless we do. Join us for more positive dialogue by sending a letter or email to President Obama and Governor Romney. Don’t stop there. Send a letter or email to each of your representatives at the Local, State and Federal level. We each, no matter our political affiliation, have visions and dreams for the future. What do we really want? Like athletes at the Olympics last month, each of us can look at the greater good, focus on what we want more of. What would that look like if it were happening all of the time, right here, right now? 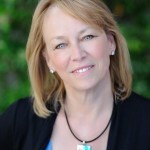 White House:http://centerforappreciativeinquiry.net/about-u/ai-trainers/kathy-becker/. From this site, you will find phone numbers and a link to email (the fastest way – per his website) as well as the phone number. Our intention is to spark positive dialogue. To be part of the dialogue about Appreciative Inquiry, join us on our LinkedIn group – Discovering Appreciative Inquiry. We also invite you to visit our website at http://centerforappreciativeinquiry.net/ or join us on YouTube, Facebook, and Twitter #WCW2012. Kathy is the CEO/President of the Company of Experts, Inc. and oversees this Small Woman Owned Business serving schools, colleges and universities, businesses, corporations and non-profits moving them from deficit models of planning and thinking to engagement, empowerment and collaboration.